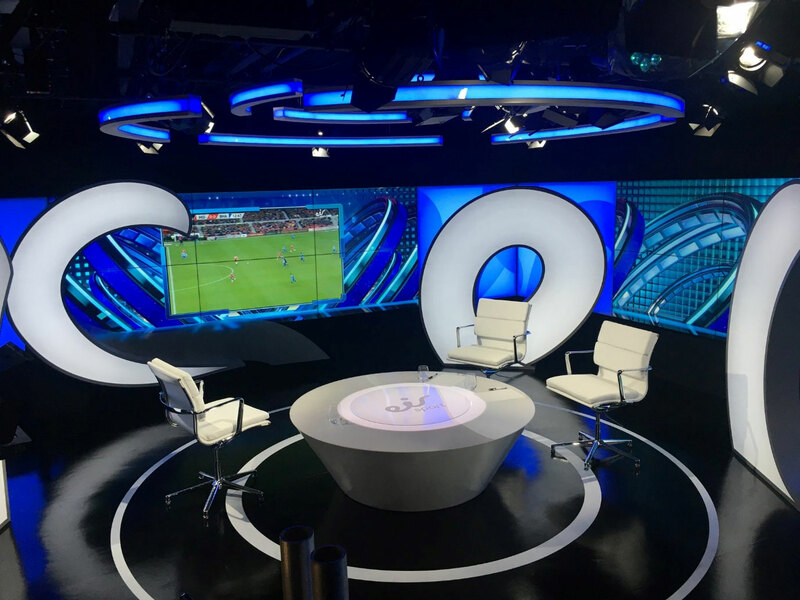 Cine Electric were tasked by Mirage Design to supply the lighting and control as well as a whole new Pipe Grid for the refit of the Setanta Sports Studio in Dublin for their new owners Eir Sports. The aim of the lighting refit was to convert the studio lighting from Tungsten to LED. The spec included Lupo 650 & 1000 DAYLED Fresnel’s & ETC Color Source Pars with control via an ETC Element 4/250 console and touchscreens along with XTBA DMX Splitters and all associated LV & ELV cables.